On occasion I have succumbed to kitchen envy. Lamenting lack of space, aged appliances and pokey cupboards, it was easy for my eye to travel in an emerald fashion over magazine splashes of the latest designs. If anything was to cure me of this, it was Rachel Khoo and her Little Paris Kitchen. It was and she has. Have you not yet become acquainted with Rachel, then let me introduce you. 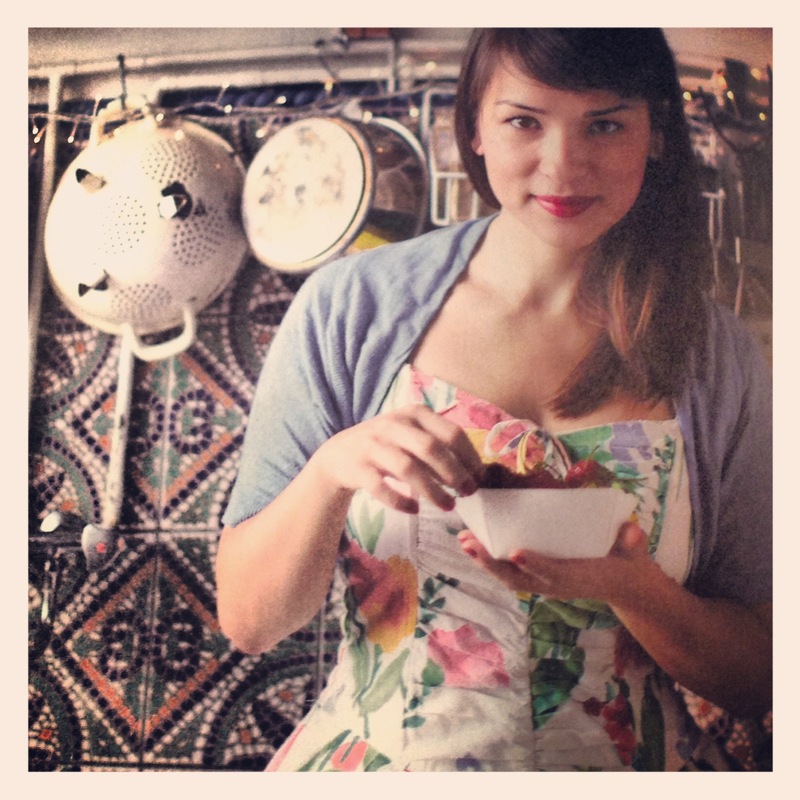 Rachel Khoo, an English girl at a tender age, travelled to Paris,without a word of French and enrolled in and graduated from Le Cordon Bleu cookery school. She lives in a tiny apartment in Paris, from which she runs an even tinier restaurant (one table) and cooks for her guests whatever she feels is most seasonally delightful on the day. From this eventually flowed the BBC2 series The Little Paris Kitchen, where many of us have come to know her well. The essence of Rachel’s cooking is French at its simplest. Through her series and book, she inspires us to close over the Larousse Gastronomique, and gather a handful of fresh ingredients to turn out delightful French classics – simply. And what snared my interest above all, is that she does it in a space far from cat swinging. A little two burner cooktop and an (almost) camp style oven, along with her basic utensils suspended on a rail above, Rachel’s lovely dishes appear without complication or stress. No imported stone bench tops or European appliances within coo-wee. Rachel’s book is a beautiful adjunct to the series and is a great place to delve into when it’s time to be reminded of the beauty of the basic. 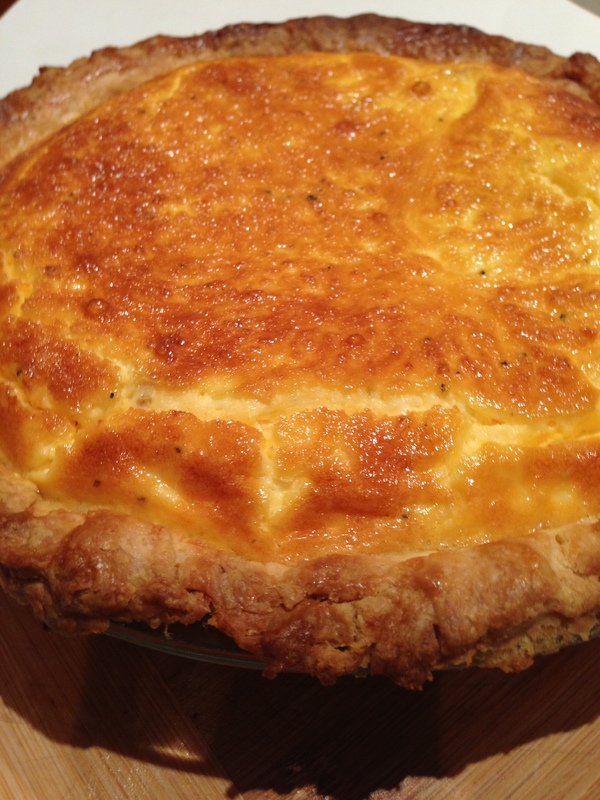 My first LPK recipe was Quiche Lorraine, because I had quite forgotten the charm of eggs, cream and bacon on buttery pastry. Quiches have been overloaded in recent years and it was lovely to enjoy one in its simplest form tonight. 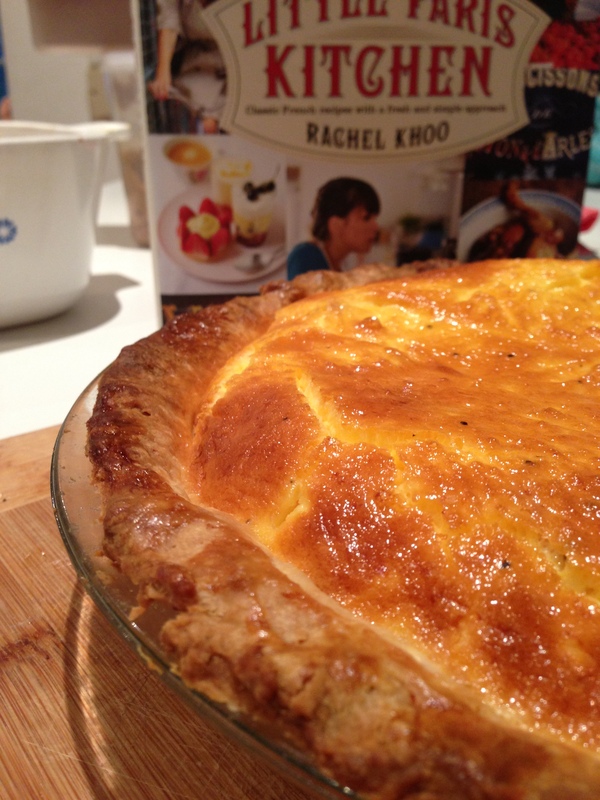 I’m guessing you’re also keen to relive the memory, so here is Rachel talking you through the Quiche Lorraine recipe from pastry to filling. If you have a little space on the bookshelf and need a bit of a nudge to remember how wonderful simple food really is, then this publication will be a valued acquisition. Postscript: and I haven’t even begun to tell you about the gorgeous vintage dresses and the smashing red lipstick! Nice blog well done posts. That quiche looks great! Check out all of our pages, we would love to hear what you think about what we do.